When it comes to trade show flooring, it’s important to choose something that is strong, portable and durable. Whether for trade shows or for retail shops, stores or hotels, top-quality flooring is a must for any business. Dye sublimated trade show flooring is one option. 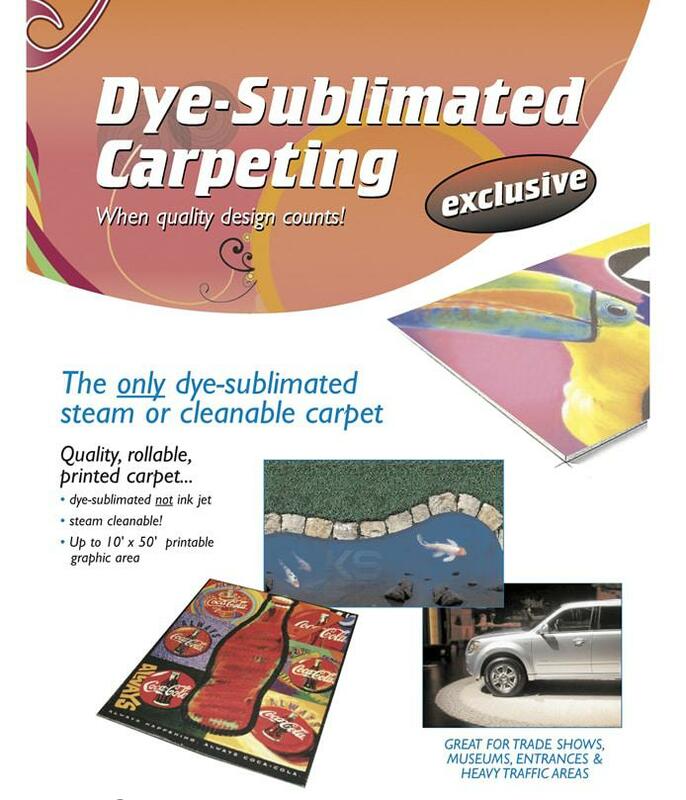 It is the only dye-sublimated steam or cleanable carpet on the market. This quality, rollable and printable carpet comes in sizes up to 10′ x 50′ printable graphic area. It is the ideal solution for anyone wanting to draw attention to their booth at conventions and conferences. There is no limit on the number of colors that can be used on your trade show flooring design as all dye sublimated flooring is printed with a full-color CMYK print that has over a million colors. This low pile durable carpet can be configured to any size making it great for any exhibition marketing strategy. Stand out from the crowd and create bold branding graphic effects with high-resolution custom printed carpeting for your next event. Two carpets can be even being set up side by side for a larger flooring area too. When you’re brainstorming designs for your next event or expo booth, choose a comfortable and top-quality flooring such as dye sublimated carpeting from us! This flooring offers a non-skid backing that provides comfortable flooring for your booth. They’re easy to wash, allowing their vivid colors to stay bright for a long period of time. Add a custom-printed mat to go with your carpeting too. For more information on digital carpeting and dye sublimated carpeting options, contact our professional team at Capital Exhibits today!